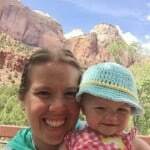 At 1-year-old our daughter is just under 15 pounds, loves to be carried, and at times she refuses to be put in a stroller. When I had the chance to try the HIPSTER by MiaMilly, I jumped at the opportunity. Although we do own another soft structured carrier, it does not have nearly as many carrying options as the MiaMily HIPSTER, and we are excited to share our findings. When the package arrived with the box it was a little overwhelming because this carrier comes with several pieces: the base waist band, two different carrier tops (both a single strap and a double strap option), the hood, two teething pads, a waist extender belt, and a carrying bag. I was impressed – this carrier had EVERYTHING we needed – no need to go buy the teething pads, the sleeping hood, or accessories. The Hipster comes standard with everything available. 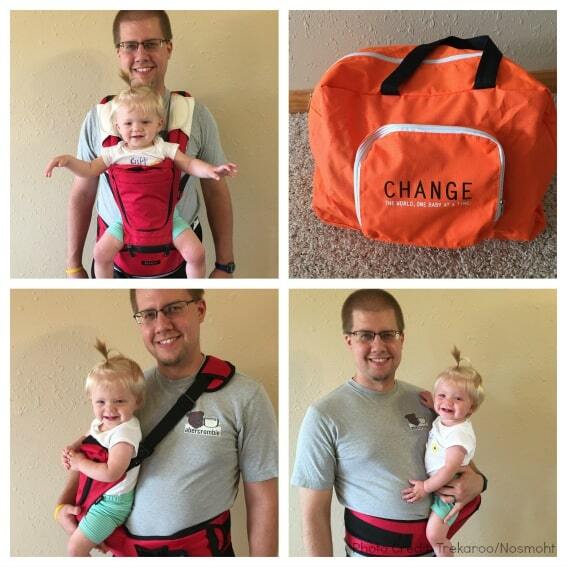 The carrier is designed to be used with infants when they have proper back and neck support until 40 pounds. The tiny pocket on the waist band. I wasn’t sure what use I’d find for this tiny pocket or if it would actually work to hold my iPhone 6 (as it is a bit of a bulky phone), but I found great success in carrying the phone in the pocket! It stayed put while we were hiking. The phone was super easy to access too! Sleep hood and teething pads. I appreciate that these accessories come with the product rather than as add-on options. 4 color options for the carrier: Aqua Blue, Olive Green, Ruby Red, Sand Beige. We were sent the Ruby Red Hipster and it is a beautiful deep red color, it doesn’t show dirt easily. We took this carrier camping with us and at the end of our weekend the carrier still looked like new. While not geared toward newborn babies, it would be awesome to have an infant insert so this could be the only carrier families would need from birth to 40 pounds. 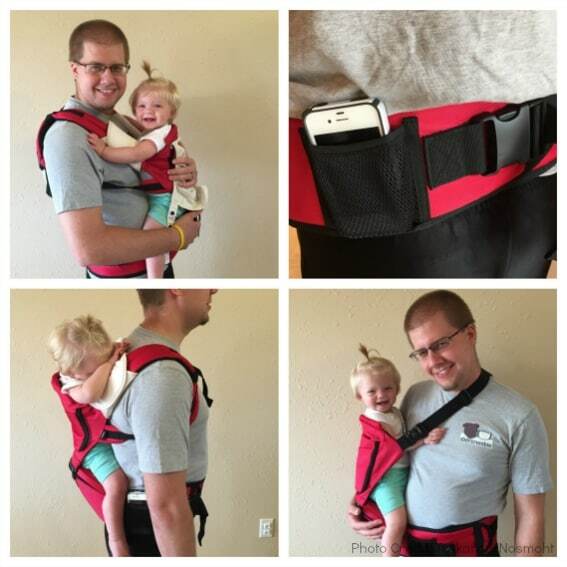 I have already recommended the Hipster to several friends and will continue to do since this carrier is so versatile. I love the wide variety of carrier options, how comfortable our daughter while riding (she frequently falls asleep in the carrier), and how easy it is to use. Both my husband and I were able to wear it since it was easy to make adjustments to fit us both. 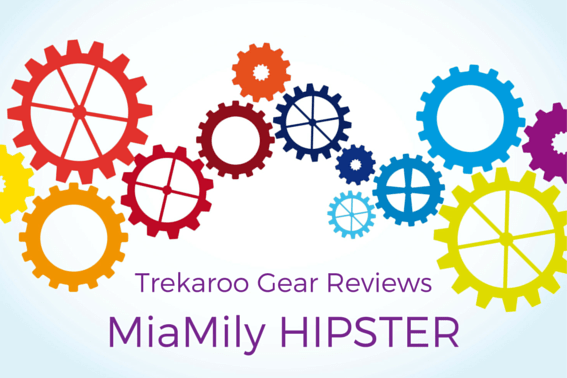 Families with little ones will be travel-ready with the Hipster by MiaMily! Disclosure: The author received a complimentary carrier for the purpose of this review, however, the thoughts and options are all her own. exploring the world with her family (a one year old daughter, her husband, & 4 year old golden retriever). On her bucket list is visiting every National Park, all 50 states, and as many countries as possible. As soon as the current adventure is over Sarah finds herself planning for the next.